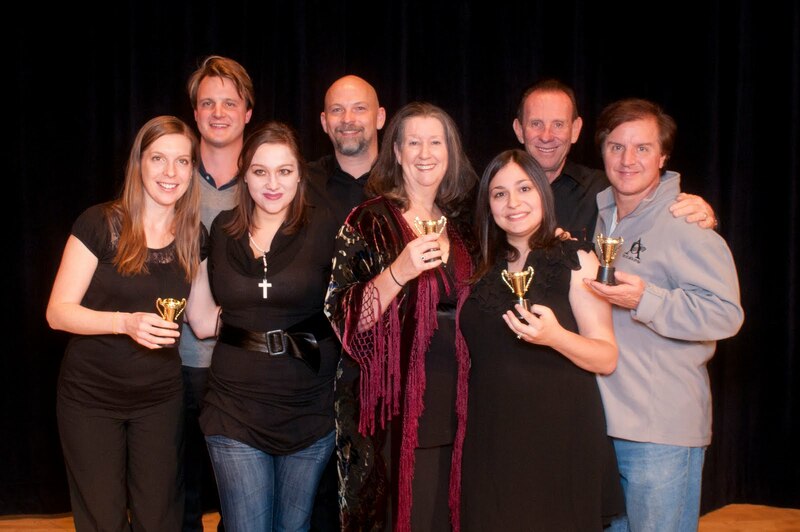 24-Hour Opera Project… in 25 hours! Daylight savings time is only annoying when you’re not trying to create, produce, and perform a 10 minute opera in 24 hours! That extra hour meant the mayhem and joys of the creative process could last a little longer, and we all could revel in good ole’ fashioned fun — with a hint of drama and a few death scenes… oh, and a rubber chicken. 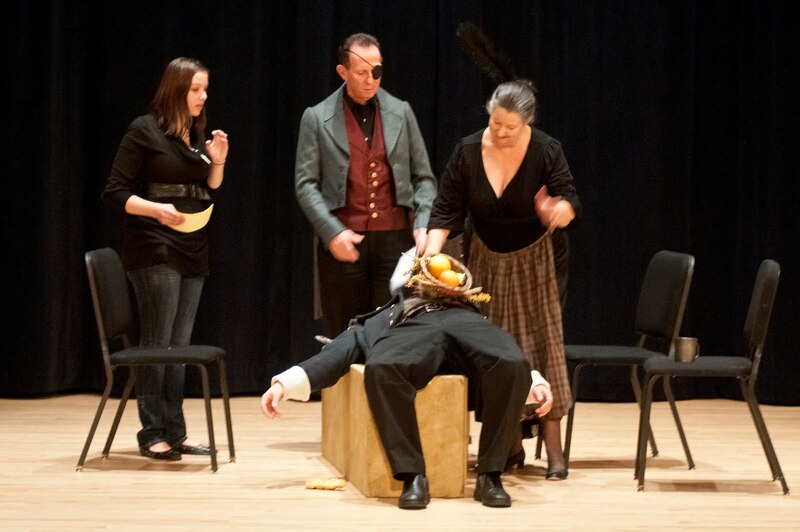 You’ve probably heard by now that The Atlanta Opera embarked on a little experiment called the 24-Hour Opera Project. 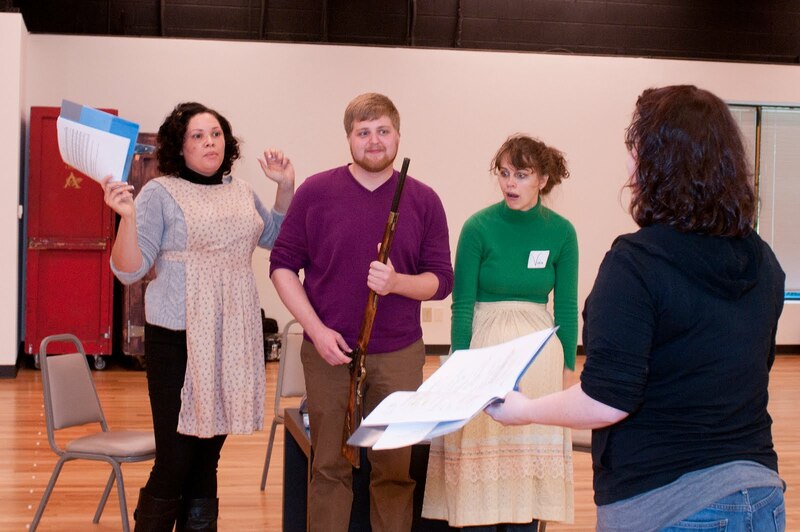 Composers, lyricists, stage directors and opera singers from all over the country — randomly put into teams — had 24-hours to compose, stage and rehearse a 10-minute opera. The theme was “Family Reunion” – an appropriate topic for opera, don’t you think? The project was created for National Opera Week, OPERA America’s annual celebration of opera. Opera companies across the United States were charged with ways to actively engage their respective communities with events and concerts that can expose new audiences to opera. We think we were quite successful in this calling. With the help of many, many enthusiastic partners, staffers, volunteers, media, and our panel of celebrity judges, we conducted an experiment we may just want to try again! So keep in touch, will ya’? Maybe next year you can join us! 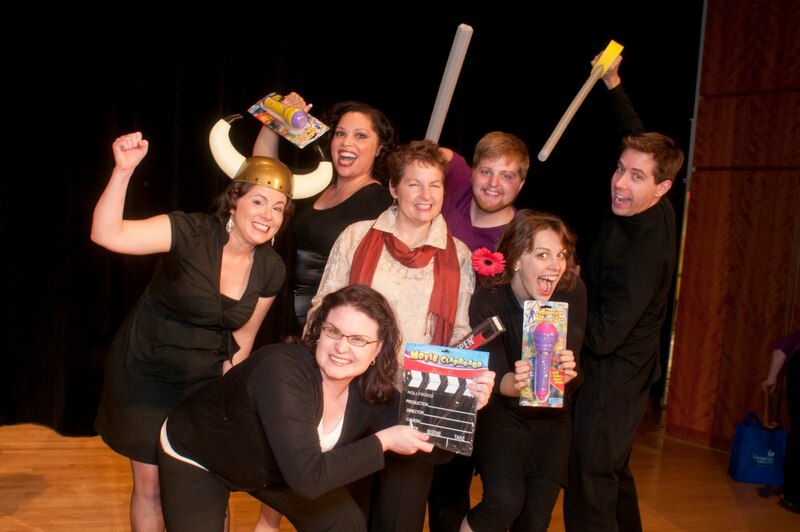 Below is a recap of the 24-Hour Opera Project… in 25 hours! 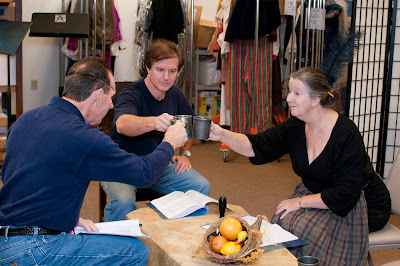 Bass Larry Frazier, tenor Charles Baugh, and mezzo-soprano Sharon Blackwood rehearse their black comedy, A Toast for all Toasts. 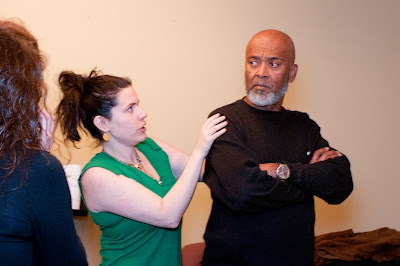 Stage director Bari Newport rehearses Eye of the Needle with bass J. Robert Adams. (left to right) Mezzo-soprano Andrea Green, tenor Dennis Shuman, soprano Vivian Clifton and Stage Director Beth Suryan rehearse a scene from Scrub a Dub-Raw, a country reunion gone horribly awry. 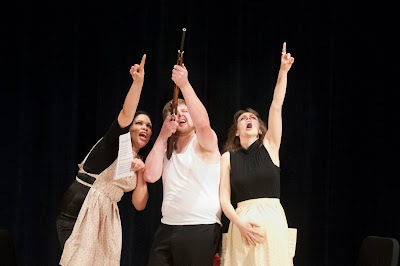 Mezzo-soprano Andrea Green, tenor Dennis Shuman, and soprano Vivian Clifton perform Scrub a Dub-Raw. Soprano Jennifer Zuiff, bass Larry Frazier, tenor Charles Baugh, and mezzo-soprano Sharon Blackwood perform A Toast for all Toasts. 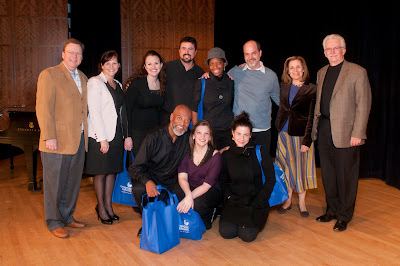 The creators and singers of Scrub a Dub-Raw receive their prizes for “Audience Favorite.” They are (clockwise from left) Beth Suryan, director; Nicole Chamberlain, composer; Andrea Green, mezzo-soprano; Vynnie Meli, librettist; Dennis Shuman, tenor; Vivian Clifton, soprano; Stephen McCool, baritone; Catherine Schaefer, accompanist/music director (not pictured). The “Judges’ Favorite” Award went to Eye of the Needle, an opera about a “family reunion” in the “dust bowl.” Pictured here are (front row, from left) Robert Adams, bass-baritone; Catherine Striplin, accompanist/musical director; Bari Newport, director; (back row, from left) Dennis Hanthorn, judge, Zurich General Director of The Atlanta Opera; Nicole Jones, emcee, Editor in Chief for Atlanta PlanIt; Sondra Collins, soprano; Bart Gilleland, baritone; Karen Wyatte, mezzo; Curtis Krick, librettist; Lois Reitzes, judge, Program Director, host of Second Cup Concert and ASO Broadcast, WABE; Dwight Coleman, judge, Director of the School of Music, Georgia State University; (not pictured) Edwardo Perez, composer. This project was a lot of work!!! But the end was result was great! I was able to attend the performance and I loved it! 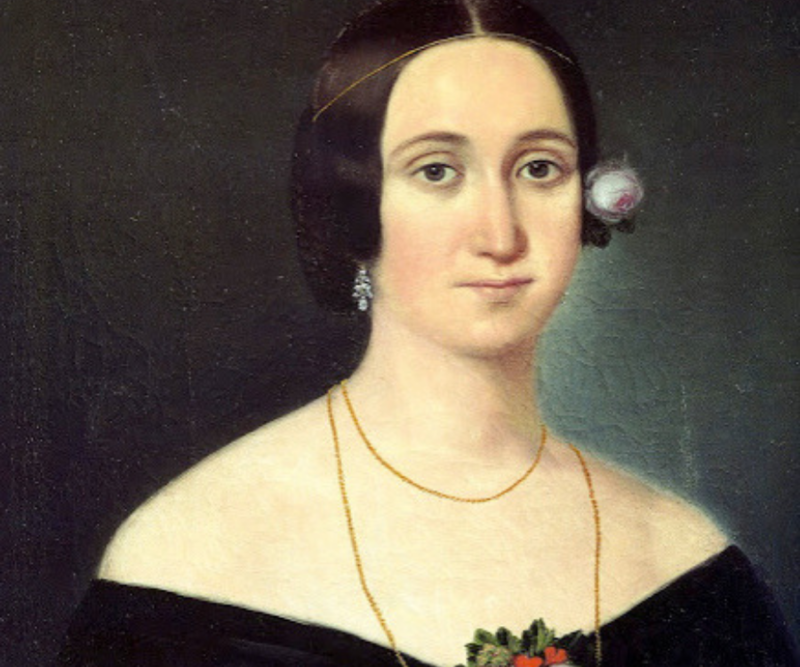 Each different opera had something unique to offer! This was such a great idea, I'd love the chance to do it next year! Great job everybody!